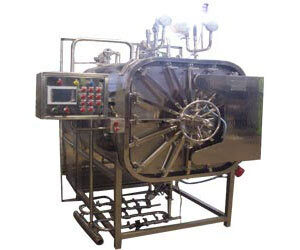 Steam & Air Mixture autoclaves, Steam Sterilizer, Sterilizer, Sterilizing Machines manufactured by Neelam industries are used for treatments of infusion/ high-volume parenteral solutions, packed in sealed containers (e.g.PVC,PE,PP.bottles, glass bottles or plastic bags or pouch, Filled PP, PE , & PVC syringes & Ampoules) without any kind of 'blushing' phenomena. Possible arrangement for treatment of packaged food products with pasteurization cycle. A ventilator is a rectangular or cylindrical pressure vessel with heat exchangers along the side curvature supported by inverted u shaped chamber construction at the bottom of the ventilator. 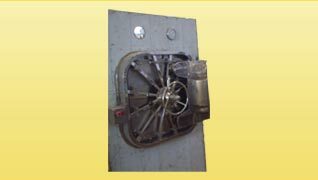 A centrally places impeller along with the heat exchanger coils & the chamber baffle at the bottom comprise the recirculation system. This ensures high flow velocity of steam air mixture during the heating period and the desired temperature attainment and uniformity for sterilization purpose is thereby attained. Sizes available from 1,000 lts. 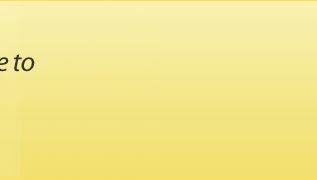 to 15,000 lts. Bioreactor manufactured by Neelam industries are designed for cGMP to perform terminal sterilisation of large volume infusion / Parenteral solution in Non-deformable container (e.g. glass bottles) as well as in containers deformable by differential pressure under Heat exposure (e.g. 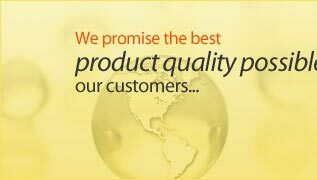 plastic bottles, plastic bags) proven to withstand sterilization condition by hot water spray. 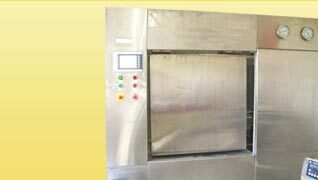 The working principle of Neelam Industries Autoclaves is based on the automatic counter pressure by injection of compressed air into the chamber during the entire cycle to minimize the differential pressure across the containers generated by the exposure to heat. Using sanitary-type centrifugal pump, water from the bottom of the chamber will be circulated through a heat exchanger. After that water will be circulated into the upper part of the chamber and it will be distributed on the load by a system of spray nozzles. 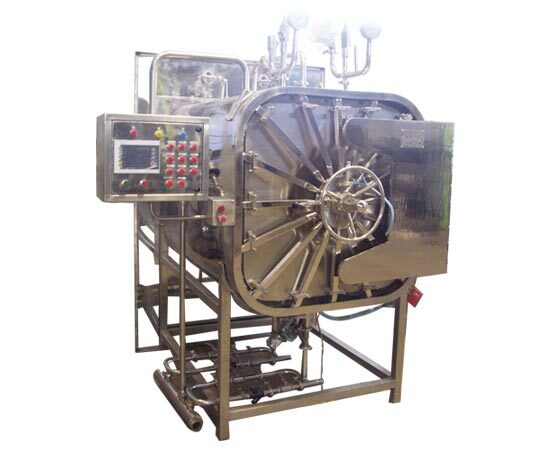 Water is maintained in liquid form at superheated temperature due to positive pressure in the chamber and thereby efficiently sterilizes the load. Positive pressure is maintained in the chamber that counterbalances pressure build up in flexible containers thus preventing container bursting or deformation.